larger, older and poorly-insulated buildings. Heat pumps for heating may be connected into cascades. 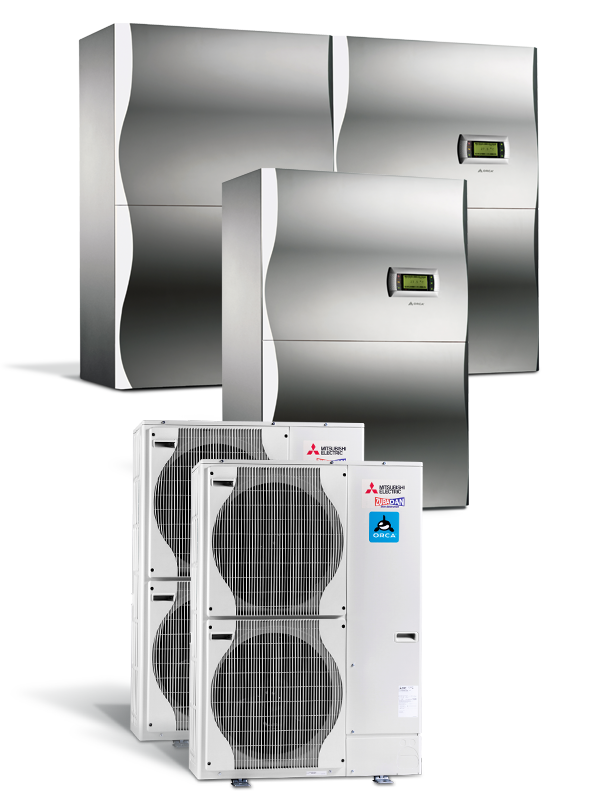 As opposed to most cascade heat pumps on the market, the innovative Mono Cascades only require one indoor and one control unit. It is possible to connect two, three or four outdoor units of various heating outputs. Using several larger outdoor units, economical heating for areas of up to 2,500m2 is possible.